To register for the camp, please fill out the form below. Contact information can be found at the bottom of the form. You will receive email confirmation of registration within 5 business days. Students with camp certificates will be qualified to become miRcore volunteers. 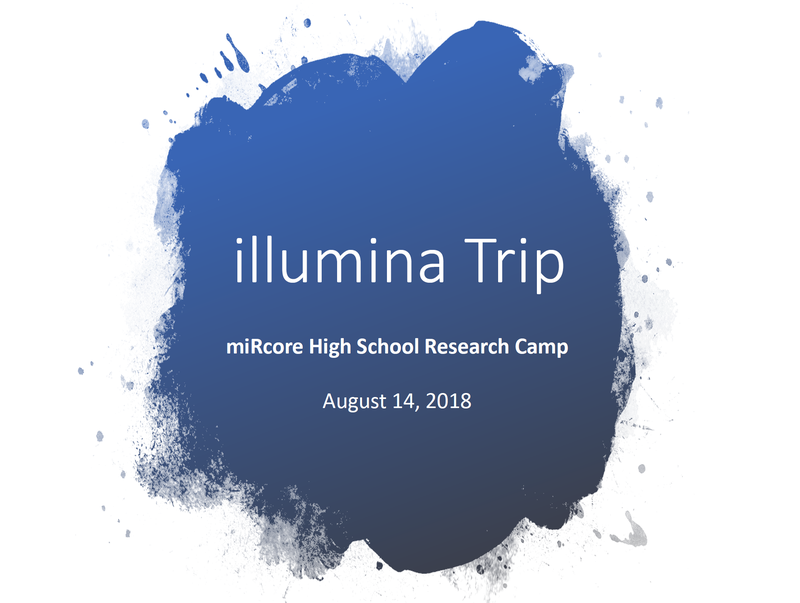 Each school year, high school miRcore volunteers choose a disease of focus of the year, collaborate with similar level students to research the disease throughout the year, and lead a school club GIDAS (pronounce: guide-us; Genes in Diseases and Symptoms). 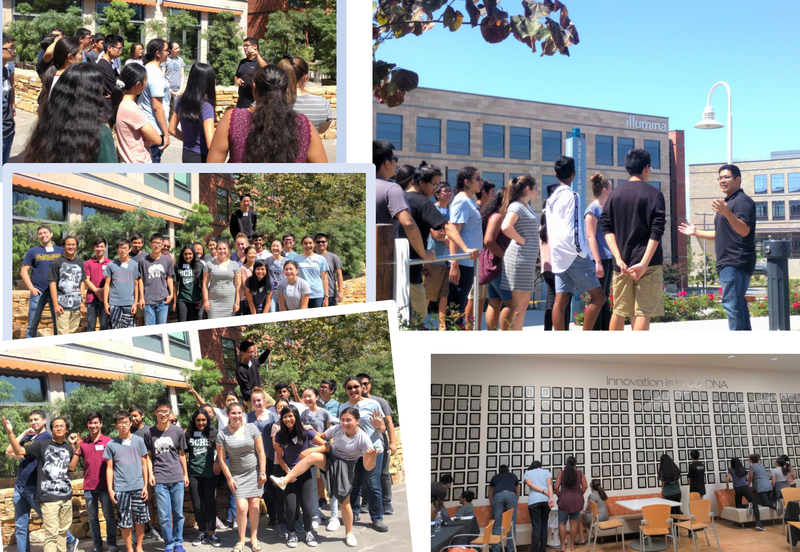 The summer camp is the starting point to build high school student research network in San Diego and other regions (main one in Ann Arbor, Michigan). 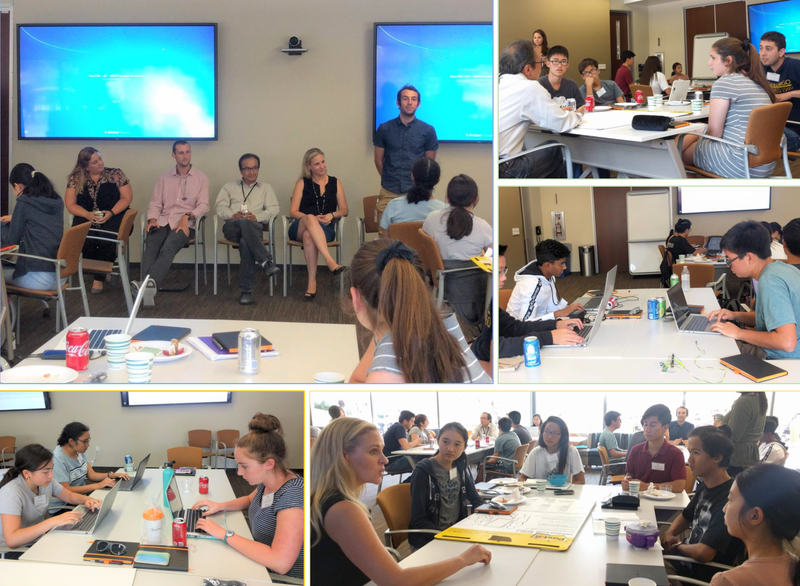 We are grateful that the Scripps Translational Science Institute is sponsoring the camp. NOTE: Based on student requests, we decided to offer a two-week camp (non-residential) to generate significant research results. The one-week option is available for either week, but there is a pre-requisite* for the second week-only option. INTENDED AUDIENCE: Current (2017-18) high school and 8th grade students interested in computers, math, biology, and medicine. FEE: $1205 for both weeks (with regular membershp: $1085); $615 for one week (with regular membership*: $535.00); automatic basic memership included for all campers. We have a limited number of partial scholarships available for students with free or reduced price lunch. Once you register (no fee for registration), we will send payment information along with the scholarship application. *You may want to consider high school student regular membership. 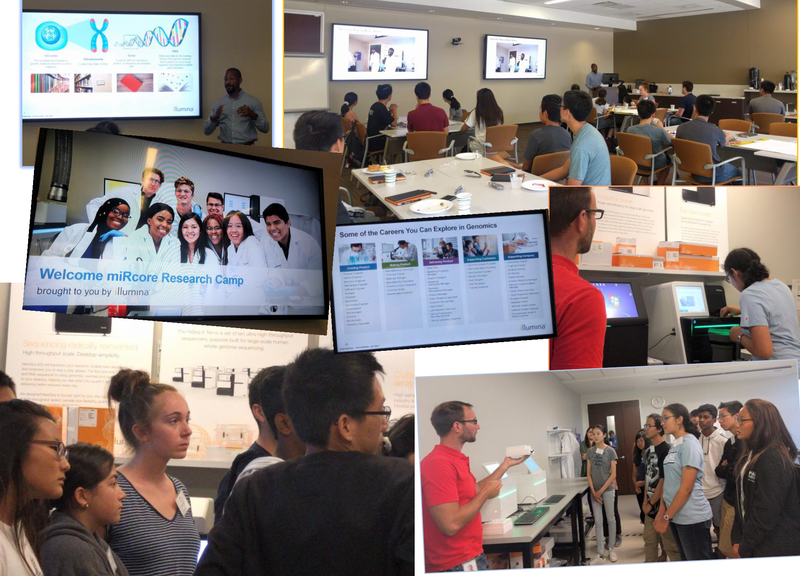 We thank Illumina, Inc., for tour and hosting. Give research opportunities to high school students beyond the school setting. Learn about personalized medicine (precision medicine – President Obama’s 2015 initiative). Be familiar with career paths related to computational biology. Learn tools and concepts, useful for individual research projects. Understand the mechanisms of gene regulation (transcription factors, methylation, and microRNA). Learn to use R packages. Understand the TCGA database and various types of cancers. Integrate multiple level data (DNA, RNA, and protein) to find specific cancer biomarkers. Learn and obtain tools, concepts, and datasets, useful for individual research projects**. H. Kabat, L. Tunkle, and I. Lee. ceRNA Search Method Identified a MET-activated Subgroup Among EGFR DNA Amplified Lung Adenocarcinoma Patients. Pacific Symposium on Biocomputing 22, 438-448 (2017). Parents are invited to students’ presentations (afternoon). Each group will suggest a way of preventing the disease based on the week’s research. Recognition of the best disease solution. If a student withdraws between May 21 and June 23, 2018, we will refund 50 percent of the camp fee paid. No refund will be given after June 23, 2018.